The Kyiv prosecutor's office is investigating the purchase of outstaffing services by several subsidiaries of large international companies, as well as Kyivstar and Nova Poshta from Promotion Outsourcing and Promotion Staff. "Unauthorized persons have introduced an illegal mechanism to provide the country's largest budget forming enterprises, including those with foreign capital, namely Huawei Ukraine, Samsung Electronics Ukraine Company, Kyivstar, Nova Poshta and others, with the services for illegal transfer of funds abroad and evasion of taxes and compulsory payments," according to the ruling of Kyiv's Dniprovsky District Court, with reference to the petition of the Kyiv prosecutor's office within the criminal proceedings dated October 17, 2017. According to the document, the prosecutor's office established that officials from the above mentioned enterprises, "having conspired with unidentified persons," transfer money to the accounts of Promotion Outsourcing and Promotion Staff controlled by them for "allegedly providing by the latter with their own qualified specialists needed to perform the basic customer's activities (outsourcing services), but in fact the employees were selected and hired by the customer service companies." 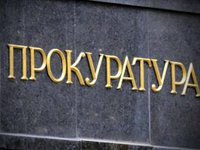 The prosecutor's office says that in 2014-2018 the two companies received over UAH 1.5 billion for these services, while these companies, according to the conclusion of an expert study by the Research Information Consulting Center, caused damage to the state for over UAH 955 million. Following the consideration of the petition, the court decided to provide the prosecutor's office with a temporary access and permission to withdraw the originals of documents from Promotion Outsourcing and Promotion Staff of their relations with the customers, among which are also PPG Ukraine, Toyota Ukraine, Husqvarna Ukraine, Alliance Holding, FMS Ukraine, DebtX Ukraine, Miele, Dyckerhoff Cement Ukraine, Adidas Ukraine, and TP Vision Ukraine.